Address: Chalana, 2, Puerto del Carmen (Lanzarote), Islas Canarias. 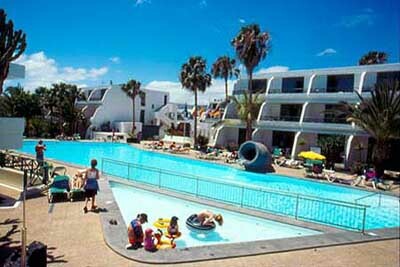 Offering an outdoor pool and tennis court, Apartamentos La Peñita is 200 metres from the beach in Lanzarote’s Puerto del Carmen. Each bright apartment features a furnished balcony or terrace and free WiFi in communal areas. Apartments come with a seating area with a fan, sofa and satellite TV. There is a private bathroom with a hairdryer, bath tub and shower. The kitchenette includes a fridge, microwave and coffee maker. A range of drinks and snacks is available at the poolside snack bar. There is a supermarket just outside the complex, and you will find lots of shops, bars and restaurants just 100 metres away. The complex has a children’s playground and games area with billiards. Tourist information is available and you can hire a car or bicycle. Free parking is possible nearby and Lanzarote Airport is a 10-minute drive away. Please inform Apartamentos La Peñita in advance of your expected arrival time. You can use the Special Requests box when booking, or contact the property directly with the contact details provided in your confirmation. Please note that the name on the credit card must be the same as the name of on the reservation.